1. What is the card size? The card size is a generic metric and every team defines what to stand for its value. It could be: planned time a given task would take, how “big” a task is (story points); man-hours, monetary values, etc. 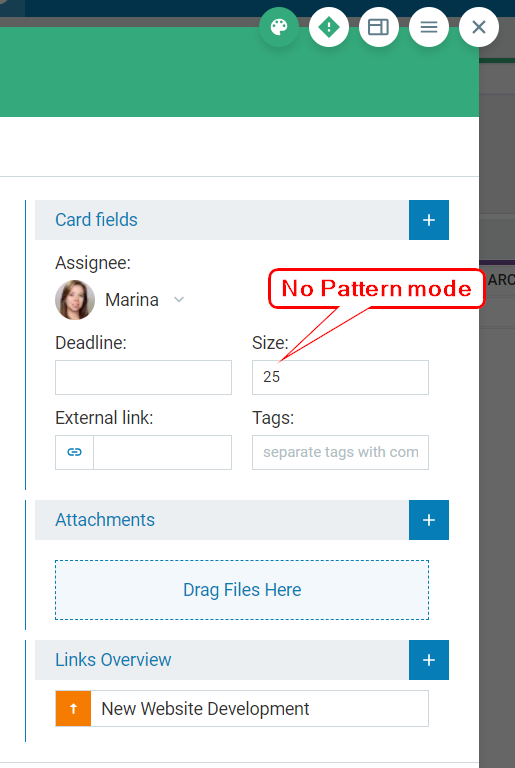 Size is one of the default card fields. (1) No pattern - input any number. 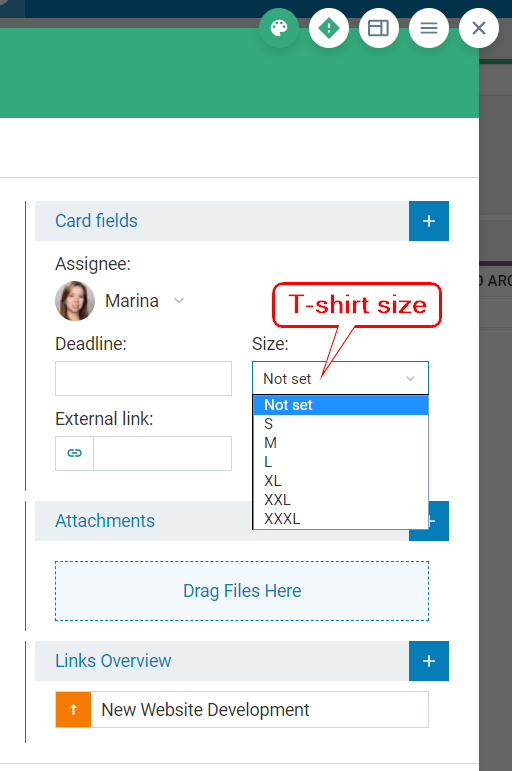 (2) T-shirt size - card size is a drop-down list of T-shirt sizes like S, M, L, XL, etc. 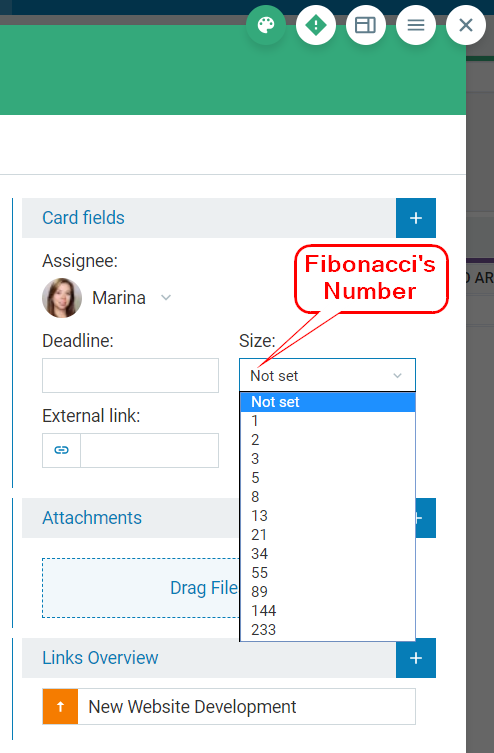 (3) Fibonacci's number - card size is a drop-down list with the Fibonacci's numbers. 2. How to configure the card size? The card size is configured per board. You have to be an Account Owner or a Workspace Manager to set it up. To configure it, please click the "Edit Workflow" icon at the top of each Board interface to turn on the board Edit Mode. You will be able to control various settings from the top side of the board edit mode including Card size type. Select your size type and Save the board settings from the top right side of the window.